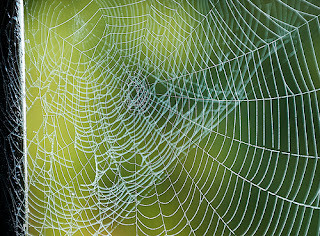 Those pesky cobwebs always seem to sneak into the corners... No matter how many times you knock them down... they always seem to creep back. A Perfect Shine Cleaners get so wrapped up into getting the daily grime that accumulates on the counters of the kitchen, the goop accumulated on the stove and inside the microwaves..... the grime in the shower, the gunk on the floors and all the dust that builds on all the easily visible surfaces... they sometimes fail to look up. They work so hard and become so focused in these principal areas. We remind them at our meetings that they need to look in areas they don't normally view. 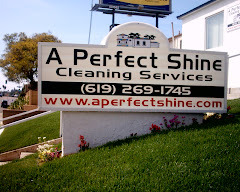 Looking in areas not normally viewed is also a huge reminder for myself, as a President of A Perfect Shine Cleaning, when viewing our overall advertising and marketing strategies. Such bold and fast movements in our society these days. It used to be that, as a company, you worked hard... put out a good product, placed an ad in the Yellow Pages and then managed your company. In today's fast paced technological society; we are now tasked with not only working hard, putting out a good product, placing ads in multiple sources of media including print, and the internet. However, now as an added bonus, we have the pleasure to work almost full time working on the internet ads. We no longer have the Yellow Page companies to design the perfect ad. We no longer have advertising company reps as advocates for our business. No, we must now work constantly on internet ads that change from day to day and to whom large internet company's only care in the world is how many "clicks" our company generates. Now it seems that the main concern of the internet company is how much I am willing to pay for the next person to click on my website and possibly call to make an appointment. Meanwhile, as a company that prides itself on consistency and quality in the cleaning business, I am still tasked with letting my crews know to clean out the cobwebs in the corners of the rooms when they perform their General Cleaning Services and reminding them to hit the light switch plates or areas that might not be noticed. Our strengths, overwhelmingly, outweigh our flaws! Yet, even more importantly, I know in my heart of hearts..... A Perfect Shine serves a noble purpose.